One can only hope. And since they're newly arrived, THEY CAN GET TO THE BACK OF THE LINE! 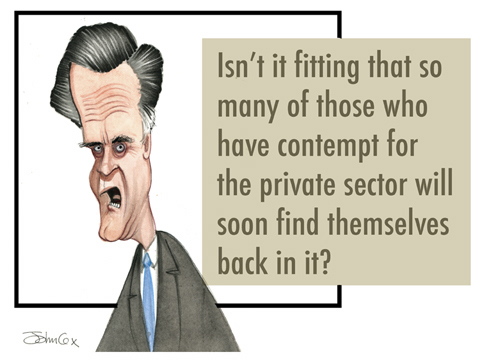 Great addition to Romney's quote. I'd like to commit that one to memory. It would shut down a lot of the frivolous liberals I come across. But not so fitting that they will find a welcome market for their contempt. This page contains a single entry from the blog posted on September 24, 2011 7:50 PM. The next post in this blog is Pre-Teen Book Cover Illustration idea.